(Syrian Rue) Frequently used in Ayahuasca receipes. Contains the Harmaline alkoloid. (seed package: 28 gram). The peganum harmala seeds germinate fairly reliably by scattering them thinly over the surface of normal, moist seed mix and tamping them in. Keep in a little bit filtered sun and maintain moisture. Temperature should be kept warm. We let them stay put for awhile, even if crowded, since disturbing young seedlings can be fatal. Once they seem like they have solid bases at the stem, carefully transplant with attention to the fine root hairs and adhering soil, so as not to unduly break them or bare-root the seedlings. Repot by burying a little deeper then before. Place out of full sun for awhile and water them but don't overdo it. Seeds will continue to spontaneously sprout even years later from the sowing mix. There seems to be anarrow niche tis species requires to be happy, and we have never quit found it. In the wild, despite mother bushes casting of thousands of viable seeds all summer and fall, relatively few take hold. Those young plants seen in the habitat are in specific microclimates: indentations of livestock hooves in the soil, perhaps offering more moisture and a bit of sun shadow in the print. The seeds opften sprouts magnificently, only to succumb to uncertain cultivation needs. Best to use sandy mix, only water when they are obviously needing, offer a partial filter from direct mid-day sun and make sure they are warm. In natural habitat it get's pretty cold at night, but it is during a dry season and we are told some people have great succes storing their plants over winters by letting the plants actually dry up in the pots, put them in a dark, cool spot and bring them back to life in spring. We have a few old mother plants who sometimes skip a whole year without any sign of life, only to make green leaves at unpredictable time. 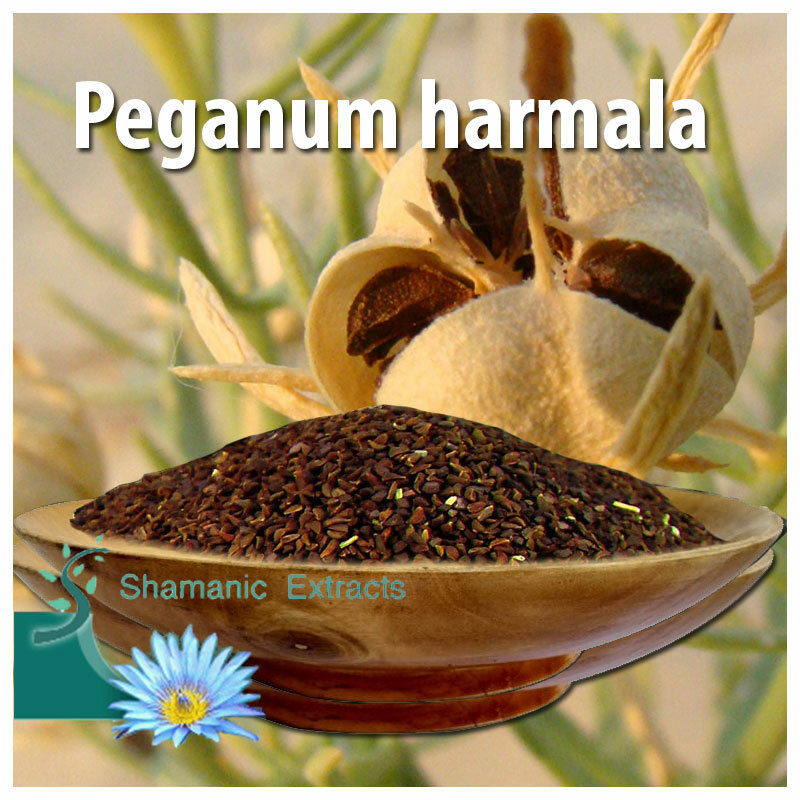 Share your experience about Peganum harmala with other customers. Submit your tips or thought on this product, be detailed and specific.